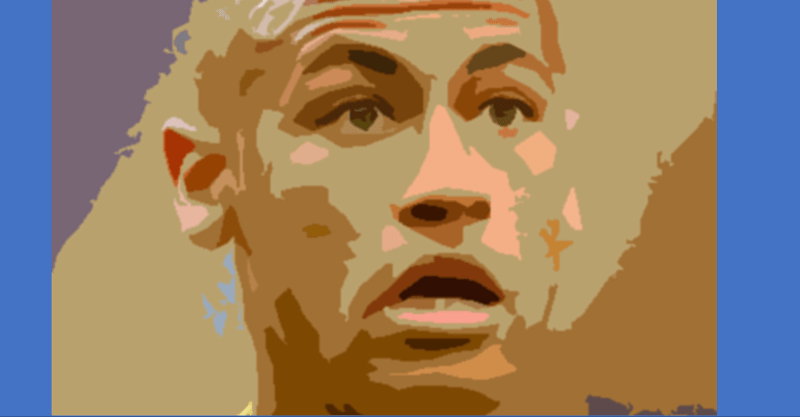 Neymar. He might be one of the best players in the world right now, but for some people he’s really hard to like. In fact, when you put together his recent behaviour, it bears all the hallmarks of that guy at 5-a-side that always comes along, but everyone silently hates and hopes that next week will be the one where he doesn’t turn up. We’ve all seen it happen. When there are barriers up around the pitch and things are getting a bit feisty, it’s not uncommon to see someone barged into them in a wrestling-style maneuver. Here, we see Neymar exhibiting a text-book shoulder barge after losing the ball. Admire his technique as he gets him at pace, from the blind side and then smiles about it. Luckily, this was at his own tournament. As if it was dished out in your Tuesday night kick about down the local AstroTurf, it might well have led to fisticuffs. Having seen him dish out an absolute beauty of a foul above, you might think that when it happens to him he realises that it’s a bit of give and take and gets on with things. Right? Ok, so that might have been a bit of an exaggeration, but at this point it’s probably worth telling you a truly shocking statistic about him. Rolling around on the floor making a meal of any physical contact is another big no at 5-a-side. Now, let’s be clear: we’re not the ones calling him a cheat. But some people, noticeably on social media, have suggested that he might sometimes try to cheat the referee. You decide. A couple of weeks of 5-a-side and we can see Neymar being mysteriously dropped from the WhatsApp group. Don’t call us, we’ll call you, sunshine.